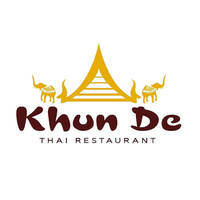 Khun De Thai Restaurant whips up authentic Thai cuisine that brings out the flavours of Thailand. The restaurant’s spacious and cozy environment makes for a great place to host gatherings and family dinners. Feast on traditional Thai cuisine from their extensive menu with choices such as tom yam soup and Thai green curry chicken to name a few. To satisfy that sweet tooth, patrons can have a taste of Tab Tim Krob, a sweet refreshing traditional Thai dessert mainly made from a combination of coconut milk, water chestnuts, and nangka.